Blurr looks awesome. 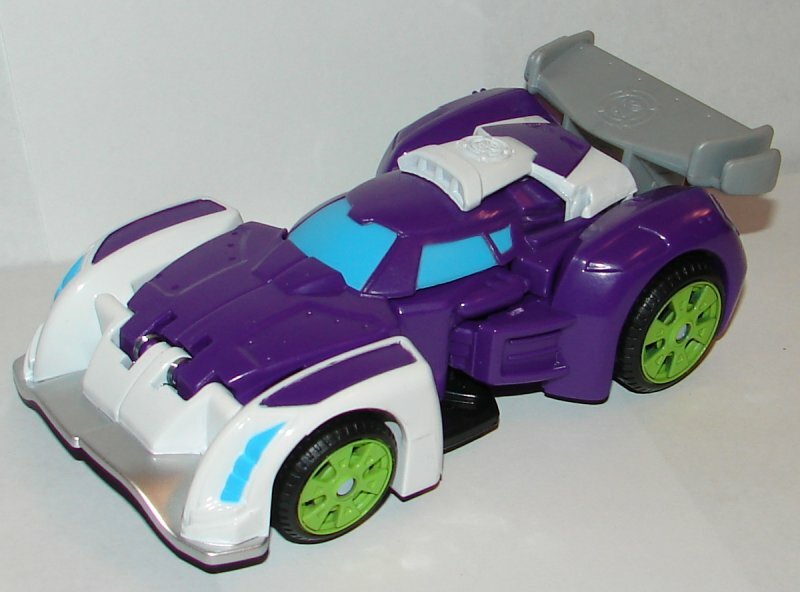 His car mode looks great. 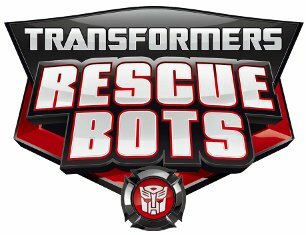 I hope we’ll keep getting more toys in this line that are not rescue/construction vehicles (or Optimus Prime and Bumblebee). His robot mode isn’t very well proportioned. 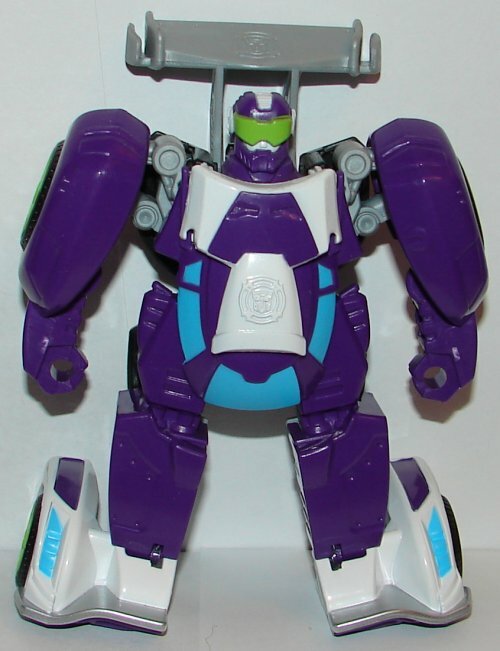 He’s sleek looking in vehicle mode, but in robot mode he’s kind of chubby looking. 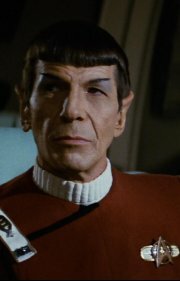 His two modes just doesn’t fit together. I’m glad we got an Optimus Prime at this scale that’s not a truck or dinosaur, and he looks awesome. I love the G1 vehicle mode. 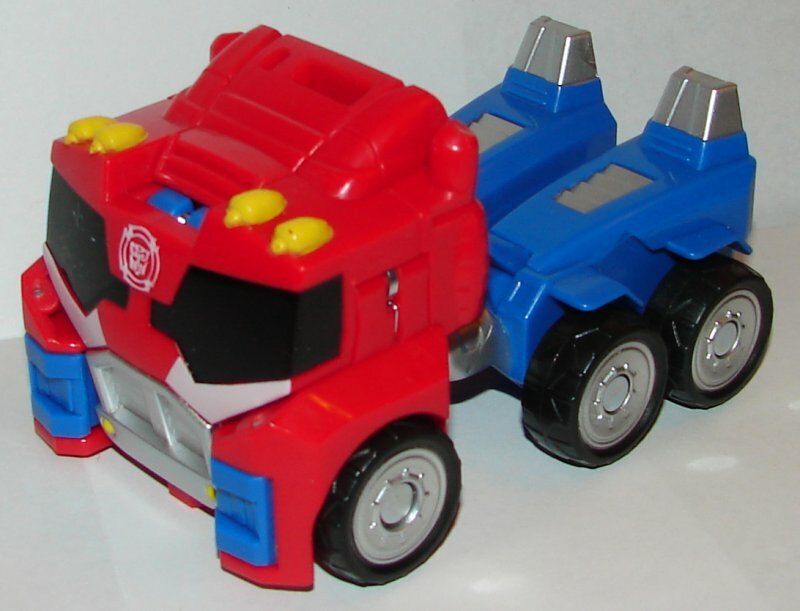 It gives me hope that we’ll get Heatwave, Blades, Boulder, and Chase in their original vehicle modes at this scale. 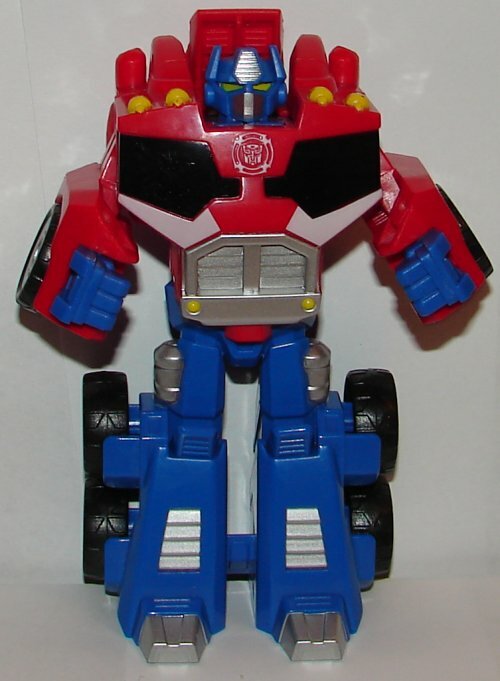 The only minor problem with Optimus Prime is that he has the auto transformation when you turn his legs around, but you still need to flip out and flip in his hands. 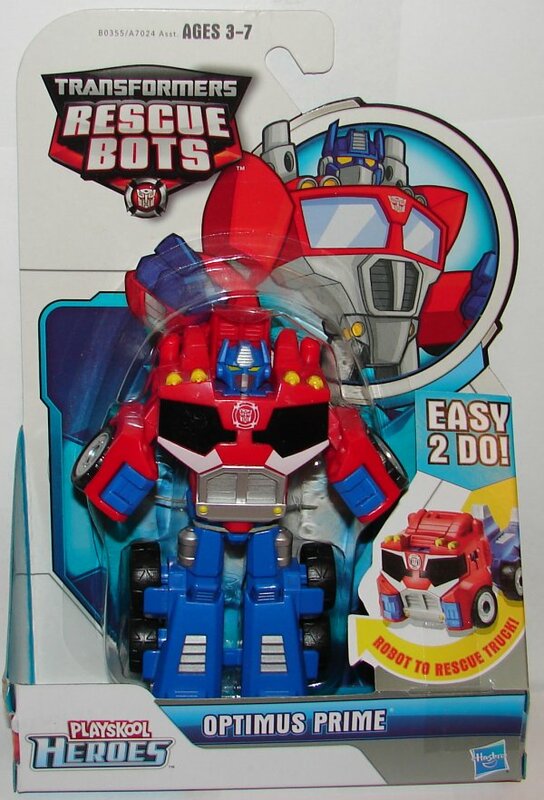 It kind of defeats the purpose of having an automatic transformation when it doesn’t fully transform him. 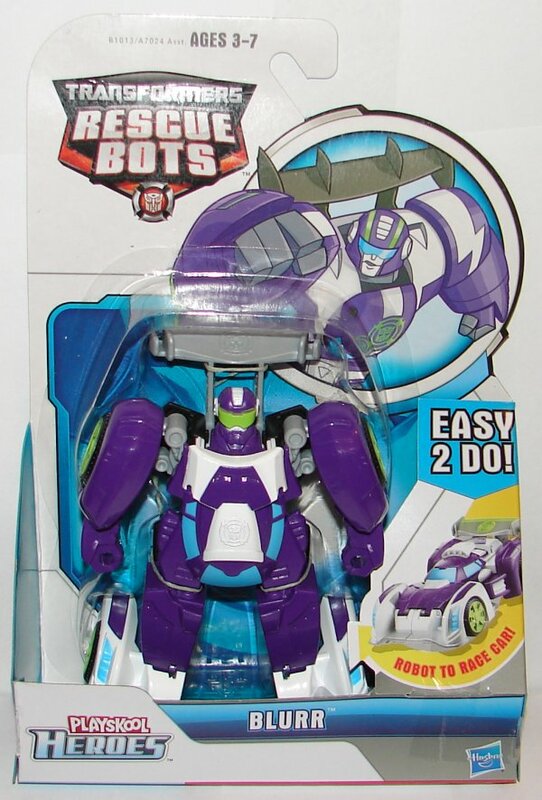 This entry was posted in Toy Reviews, Toys, Transformers and tagged Blurr, Optimus Prime, Rescan Series, Rescue Bots, Toys, Transformers, Transformers Rescue Bots. Bookmark the permalink.